“When it comes to knowing how to create an environment in which people can do their best work, Tim Williams knows the right principles. He can show marketing professionals how to get golden eggs without killing the goose." Stephen R. Covey, Author of "The 7 Habits of Highly Effective People"
“We in the advertising business are our own worst clients. 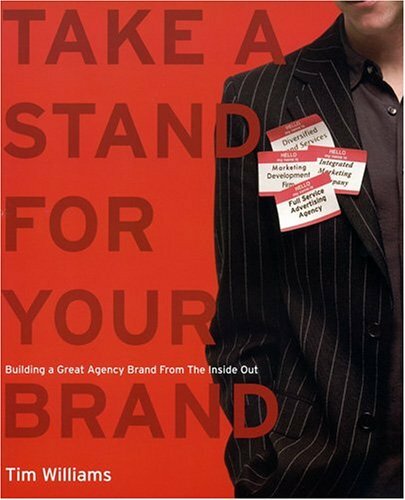 This book helps agency principals look inward and do for their own brand what they do for their clients' brands. It stands out from the glut of ‘How to Succeed in Business’ books by focusing on how to succeed in the advertising business." “Tim Williams has encapsulated the experiences and thinking of a lifetime in this business into a very understandable and impossible to fault path. This book is mandatory reading for our entire agency". + Ignitiongroup.com+ Propulsion Blog+ Tim's Latest Book "Positioning For Professionals"